Welcome back, and welcome to last week’s article as well. It’s a little lengthy but I’m proud of it all the same; we went and examined the different pricing metrics of TCGplayer high, median, low, and market price. I’ve gotten a lot of positive feedback so far, so it’s definitely one you don’t want to miss. As for this week, let’s finally get back to processing and organizing our collections and bulk stuff. Instead of getting outside and enjoying the sunshine on Memorial Day weekend, my friend Sean Love and I were hard at work in the basement where it was a solid 20 degrees cooler than the heat wave upstairs and outside. I had one more objective that I wanted to make into a reality before I started on the 400k bulk in my closet, so we got to work. Up until this point, I’ve had about nine trade binders that were between halfway and completely full at all times. They’re the Ultimate Guard “QuadRow Flexfolio”, which I would not wish upon my worst enemy. 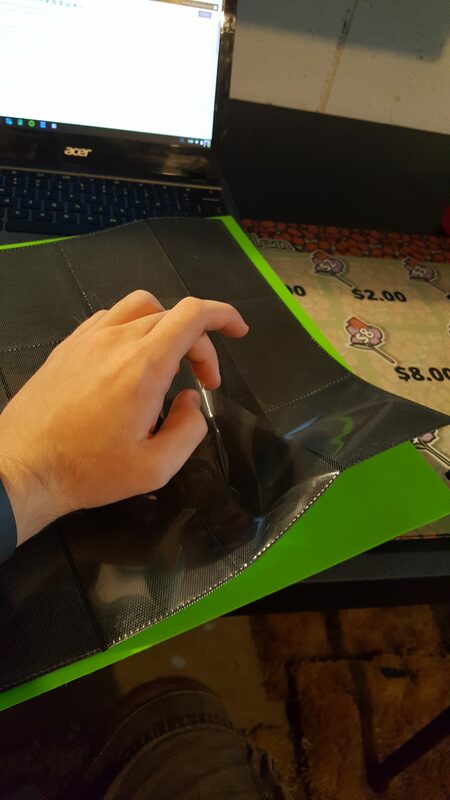 I wanted them to be able to hold playsets of cards in a single row, but the quality of the binder was shoddy and the glue holding the pages together would rip all the time even with the simple act of putting a card in or taking it out. I’m no Tolarian Community College Professor, but I would absolutely stay away from this brand of binder and look for something else that’s more structurally sound. 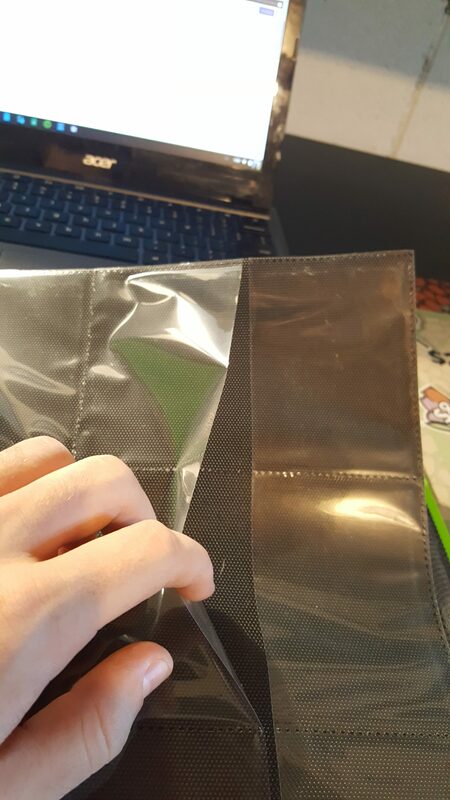 I owned the binders for less than four months before they started to fall apart, and I feel like I threw away over a hundred dollars on them. So where am I going with this segue? Well, I haven’t regularly traveled with binders in almost two years. 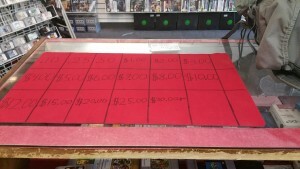 I don’t have a local FNM that’s less than a thirty minute drive, I don’t have the time to be a Grand Prix backpack grinder, and it’s not exactly like I even “trade” very often anymore (unless you count people bringing me lots of bulk to get “DJ Dollars” in trade credit). A few weeks ago, I asked myself why I’m even still using a binder system to loosely organize my relevant cards. It was a pain to constantly look through the majority of a “Green” binder just to see exactly how many Vengevine I had, and I wanted something that would help me find X card from Y set in under Z seconds. I was already constructing a framework for doing something similar with my Blueprintable commons and uncommons…. why not do the same with my “higher end” cards ($4+) that were worth selling on TCGplayer? 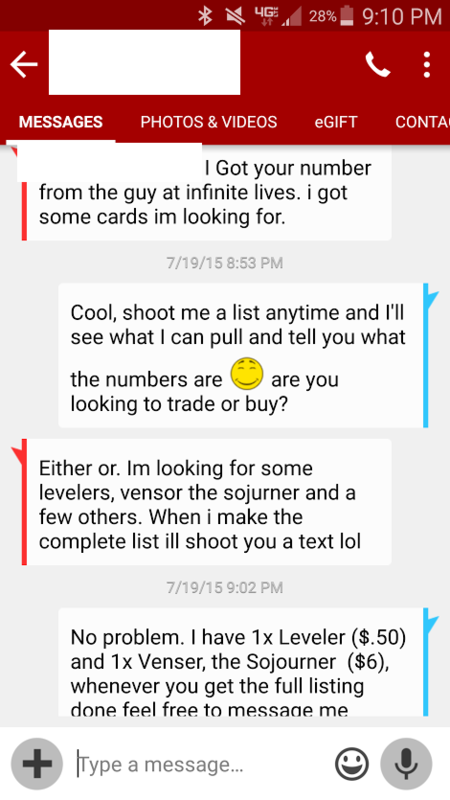 This article is made for those few of you who might not trade anymore, or go to events at an LGS. 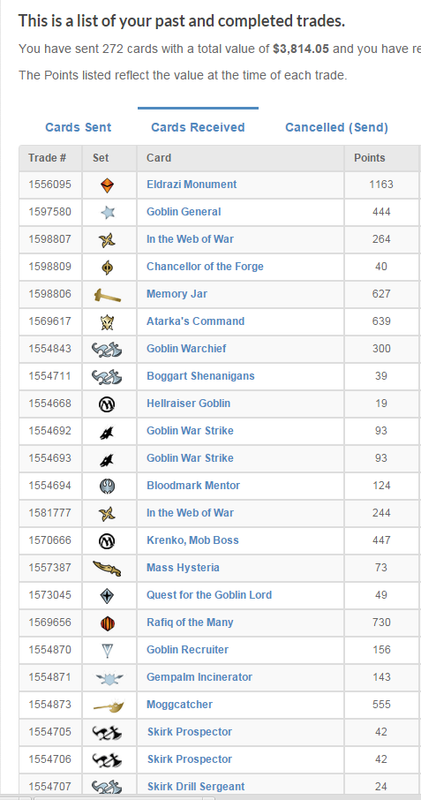 I recommend continuing to read especially if you have a sizable collection that you want to manage without using binders, sell by piece, or just know where your cards are for deckbuilding. 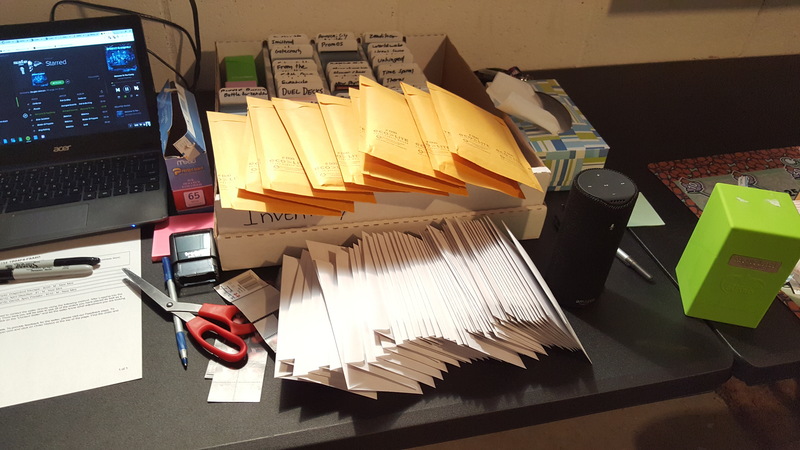 Several of the pieces of advice are extremely similar to other articles I’ve written, so we’ll get set sort and alphabetize everything out of the way early. Netflix helps. I finally got started on Jessica Jones. Ta-Da! I mean, it obviously took a lot longer than it did for you to check out the picture; roughly about eight hours of Sean and I working to set sort and alphabetize. (A skill that he is much faster than I am at). You’ll also notice that those BCW dividers continue to come in handy, although I’ll have to trim them down by a few centimeters if I ever expect to put a lid on this box and apply any weight to the top of the lid. Because the long term goal of this inventory box is to have everything listed on TCGplayer by the end of the week (you can see my printed-out and hastily scrawled-on to-do list in the background), we also had to grade every card in the box. The “Origins” pile. Definitely losing some money on these Abbots here. 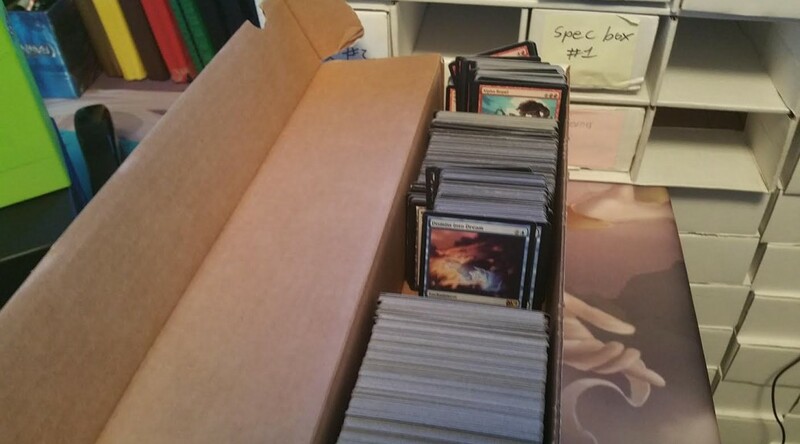 Some of you may remember that I sleeve everything over $2, regardless of what box it goes in. 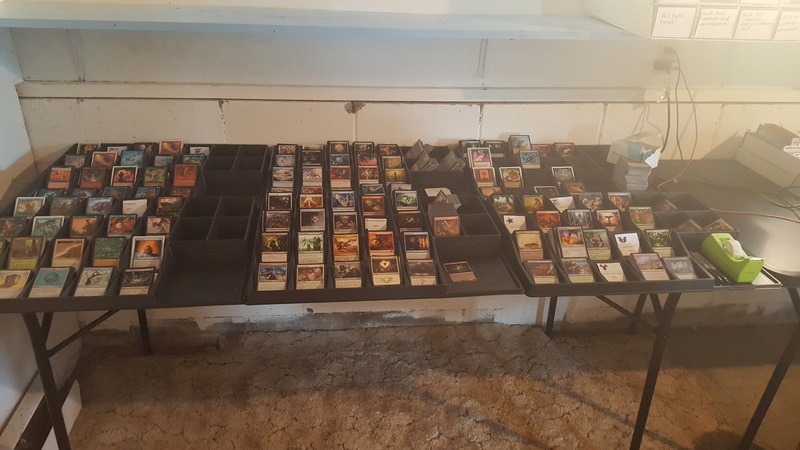 While I was using opaque sleeves for the cards in the binders up until this point (penny sleeves can be annoying to fit into binders without crinkling, at least for my personal preference), sorting my inventory into a 5K meant that I could penny sleeve everything to make it uniform. This also helped with grading the cards easier, being able to see the front and back at a glance. 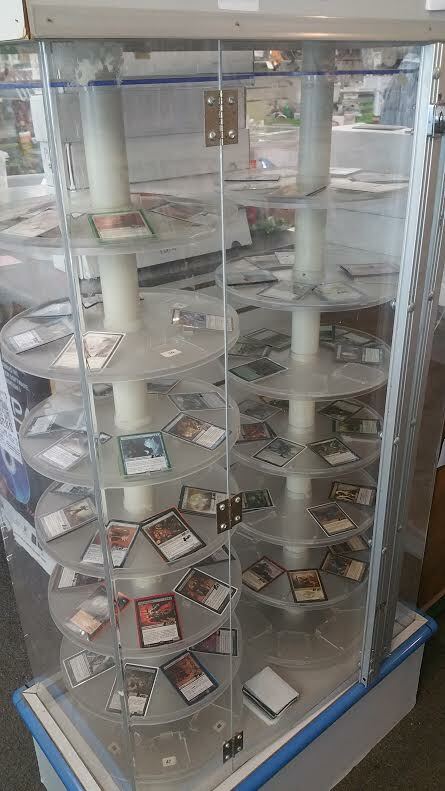 If you do find research, you should be able to find 10000 penny sleeves for around $45. Here’s some research. Now that that’s all settled, we can *finally* begin to work on set sorting this bulk that’s been accumulating in my closet. 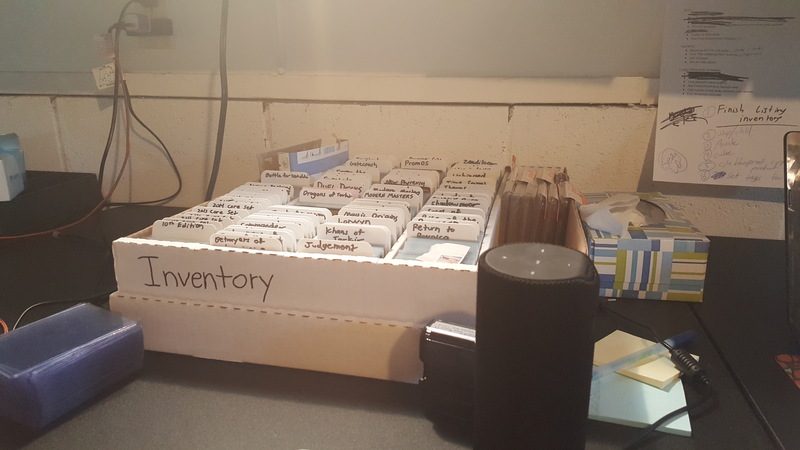 Phase one (which I’m not sure if I’ve mentioned in a previous article or not) is to make another series of those divider set tags so that each pile of set sorted bulk will be easy to find and alphabetize when the time comes. 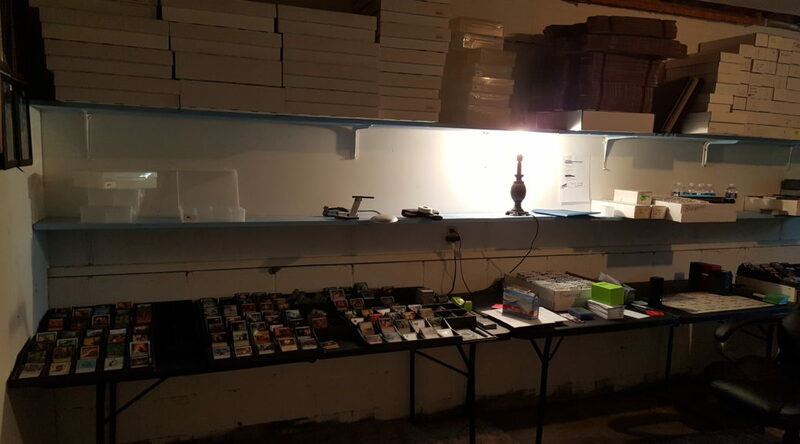 For now, I’ll conclude this brief article with a prelude of what your basement/living room/bedroom might look like once you get started on this project. Huh, there’s really not much to talk about here. Kind of a dry week, but that’s alright. 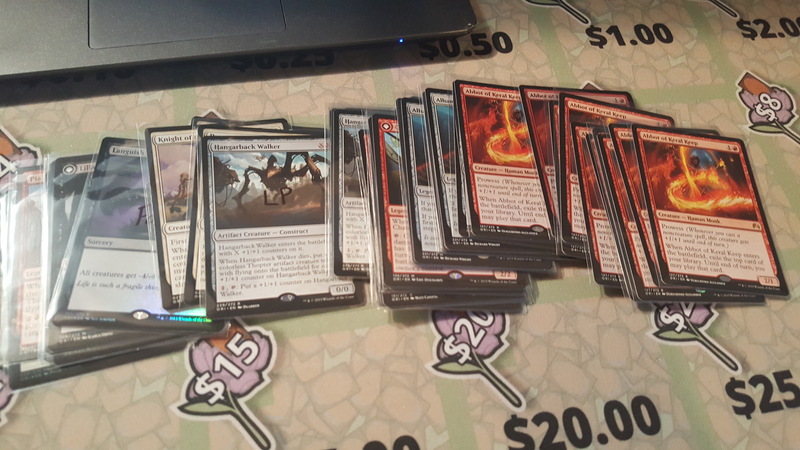 I’m happy to see Realms Uncharted and Horn of Greed finally going off thanks to The Gitrog Monster, so I’ll be taking my copies out of the spec box and sorting them into my wonderful new inventory system, then putting them on TCGplayer. 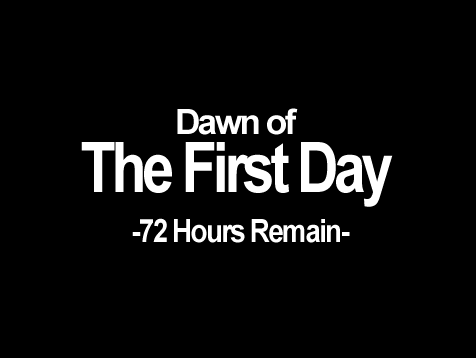 Until next week! Welcome back! The week after Vegas has been anything but dull, at least in terms of Modern cards jumping up and down (mostly up). Last week, I ended on the note that I would take specific requests concerning the financial side of Magic and answer them this week in as much detail as I could. Thankfully, I got a few responses to that, which at least proves that there are a few people who read this column. After answering some questions, I’ll go over a few of the Modern cards that jumped in price this past week, and what you should do with them depending on how many copies you own. I’ll throw in a disclaimer first though: due to the speculative nature associated with some of these questions, my answers are not guaranteed to have a higher percentage of being correct than any of your guesses. None of us know what’s going to be in Battle for Zendikar, and my being a financier doesn’t give me an edge in those predictions. First off, we have Jeremy B. asking when the correct time to upgrade his Zendikar fetch lands in his Commander deck is. He’s wondering if the (assumed) reprint in Battle for Zendikar will affect the original printing’s foil price, or if the shock lands will prove to set an example of “original print foils creeping above $100.” There’s also a follow-up question about the ideal time to pick up foil copies of Survival of the Fittest and Wasteland. Even though my record with predicting fetch land reprints is not exactly stellar, I’m more than willing to vomit my opinions and thoughts onto the internet. 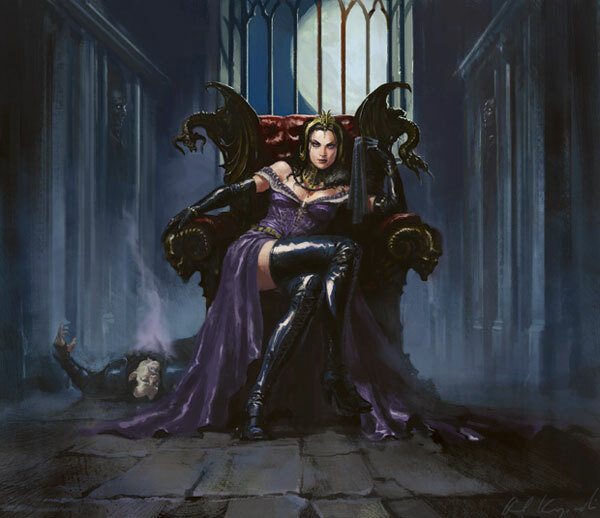 The general consensus on whether fetch lands will be in BFZ or not is pretty divided, but I’m standing firmly in the camp of, “Yes, Wizards will bring them back in the fall set with new art.” While this would put all ten fetches into Standard at the same time for six months, I’m willing to believe that those six months will be the last part of ripping off the Band-Aid of the new Standard rotation scheme. If they do end up in the set, foils of the new art will definitely be cheaper as product pours into the players hands en masse. That part is the no-brainer. But will the original Zendikar foils drop as well? I’m inclined to believe they will, but not by a huge amount. 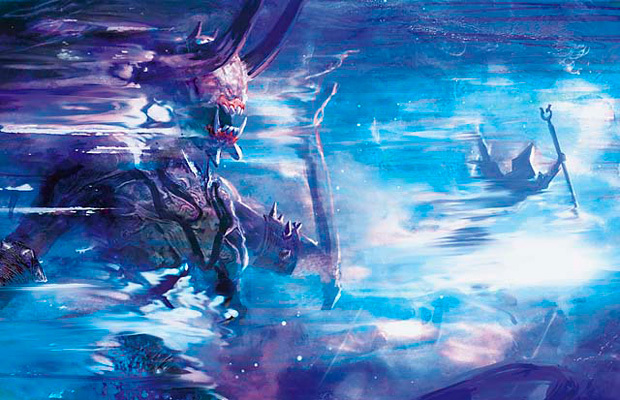 An Onslaught foil Polluted Delta will run you about $400, and a large part of that is tied to a group of people who believe that old-border foils are the only way to play Magic. 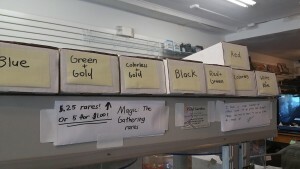 A 2005 foil Temple Garden is almost $75, because the old art is apparently loved by a larger group of people. I’m willing to believe that the same will hold true for these fetches—there will be people who want to believe that “older is better,” and this will keep the price tag up above the new foils—but they will still drop a bit, as some players will want to liquidate their foils in the face of the announcement. As for Jeremy’s situation specifically: I think you can definitely wait on the fetch lands for your deck. 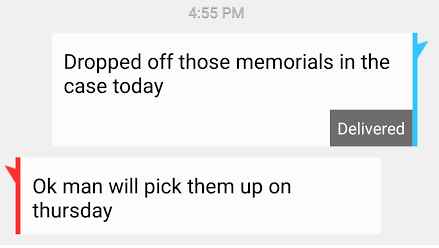 You said in your message that you’re patient and that these aren’t something you need immediately for an event. Your Commander deck is fully functional with non-foils for the time being, and I don’t think anyone will fault you for not having the most expensive version of a card that appears to be imminent for a reprint. Now, let’s talk about the desire for foils of Survival and Wasteland. The former is easy to get out of the way: it’s on the reserved list, so bite the bullet now and buy or trade for one if you really want it. It is not going to be printed again, and it’s an iconic enough art that it won’t be forgotten easily. 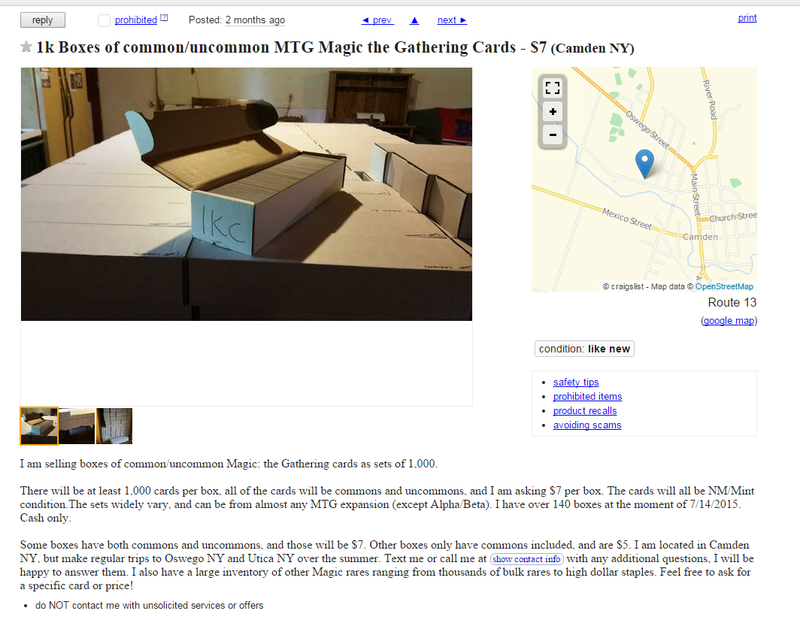 I think you’re safe buying in now, and you shouldn’t have to work too hard to move it if you ever take apart the deck. If you’re patient, you can probably find one on a Facebook group or eBay auction for under $250. Regarding Wasteland, I’ve had multiple discussions with my colleagues about whether or not Wasteland could be reprinted in Modern or even Standard. The card’s power level in those formats can be debated by those who play the game at a much higher level than I do, but my concern is focused more on whether or not WOTC feels that its presence would be promoting a healthy game type. Wizards hasn’t printed Stone Rain in forever, and it’s not because the card is overpowered. Early and immediate land destruction just isn’t where WOTC wants to take the game, so I’m inclined to believe that buying into a foil Wateland for your commander deck is still safe. It’s not as safe as a foil Survival, but it’s better than foil fetches. 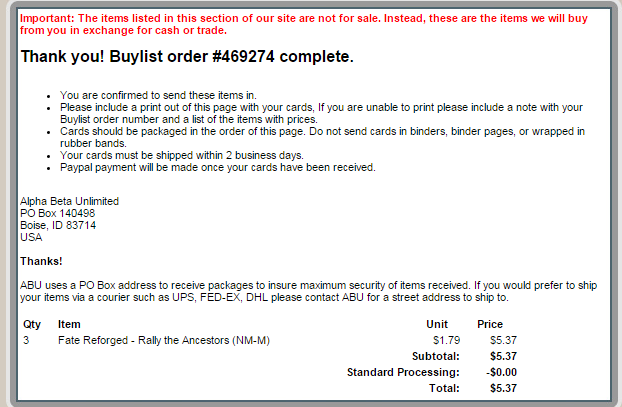 Your best bet for grabbing both without Wastelanding your wallet is definitely through a trade binder or eBay/Facebook auctions for cash. Next up we have another question concerning Battle for Zendikar. Spencer asks if I think there will be new Eldrazi to replace the current ones, as well as what other reprints we might see from the original Zendikar. I don’t think that WOTC needs to one-up their Eldrazi from last time, especially since they’ve already tied the lore to those three specific titans. 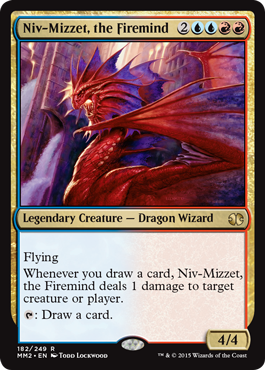 What I do think is possible is printing three “new forms” of Ulamog, Kozilek, and Emrakul, similar to what was done with Niv-Mizzet in RTR. He was an iconic character that they wanted to “touch up,” so Wizards just printed a different version of him. I think the same is potentially true with the three Eldrazi, as I’m not sure how “fun” the originals were seen to be. Spell Pierce is an interesting case study, especially since I saw practically zero people complaining about the fact that it wasn’t in Modern Masters 2015. 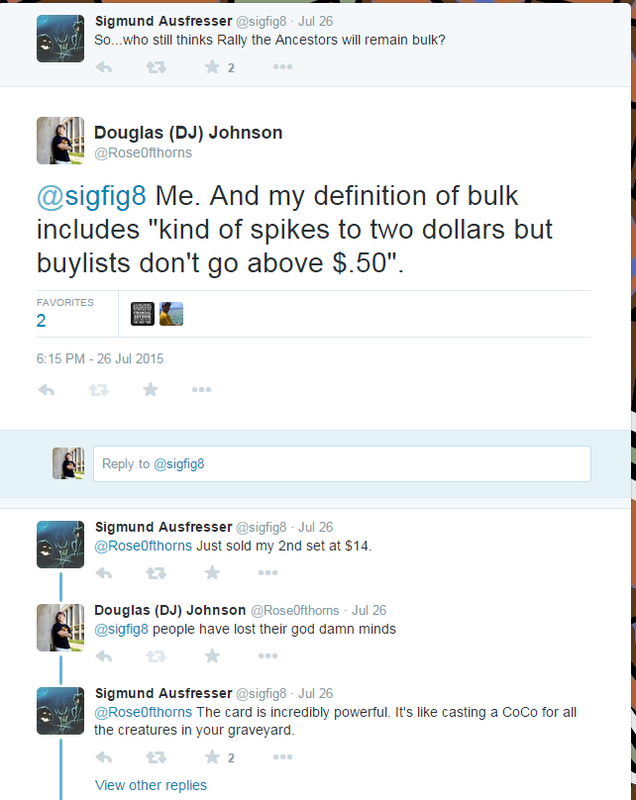 It’s a $2 common with a $35 foil, but I don’t think it or Goblin Guide will be in BFZ. Maybe I’m horribly wrong, but I think RTR is an excellent model that Wizards will use this fall when returning to Zendikar. Return to Ravnica actually had zero non-land reprints from the original block in 2005 and 2006, using the ten shock lands to support a significant portion of the nostalgia from the old set, while they got to spend the rest of the block creating and shaping new identities for the guilds and their members. The company could certainly do the same thing here and choose a different style of full-art lands to help hype up the set. I honestly wouldn’t be surprised to see Pierce or Guide pop up in a supplemental product soon, but I don’t think either will be in the upcoming fall set. 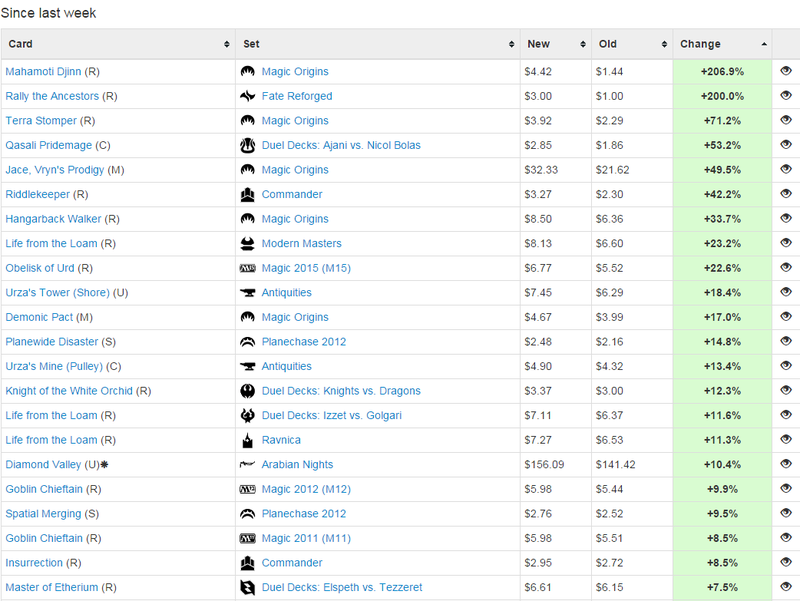 Liliana has almost reached the finish line in the race of $100 Modern singles, and foil Tarmogoyf has maintained its throne as the Modern Lotus of Magic (in fact, Maynard’s Goyf from Vegas sold for more than some Lotuses). I think the right answer to this question depends on your personal goals and what you’re planning to do with the cards in the future. If you plan on completing a set of foil Goys or hope to continue trading upwards and grinding value, then I think the single $350 bill is the place to be. The only situations I can think of where you might want to keep the Lilianas is if you’re planning on using them in a deck in the near future, or if you don’t have access to trading or selling very frequently and were planning on holding them for a few months. While the Goyf is better value at this moment, the Lilianas are quickly catching up and have a chance to pass the Goyf six months from now, as a rough guess. Personally, I’d rather have the foil Goyf, and just sell it right now for $270, instead of selling the three Lilianas for $240. Wow. 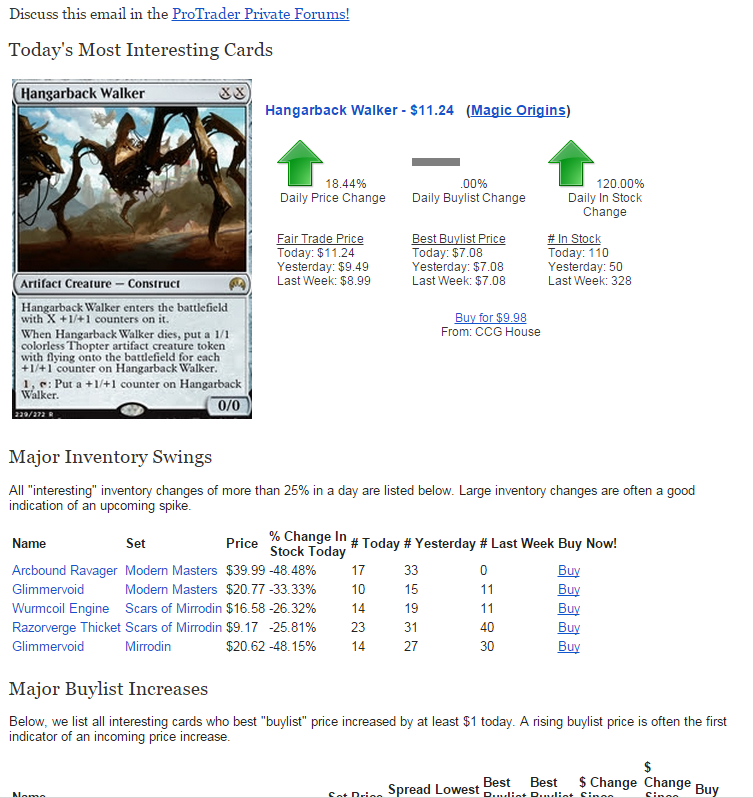 Thanks to WUBRG from the MTGPrice ProTrader forums for the lengthy discussion topic! Reprints have definitely been the hot topic of late, with everyone wanting to maximize on value and not be screwed over by their expensive cards suddenly being worth nothing. This question is actually pretty similar to the first one I answered, but there’s definitely room to expand on where I would place my own money. Instead of buying into casual foils that were reprinted in Modern Masters 2015, I would prefer to put my money on reserved-list stuff, as you said. Sigmund recently touched on this, and I completely agree that Modern is not the place you want to be for long-term investments. You suggested that “pimp” EDH cards will always have demand, even if Magic dies, but I have to disagree. If the game dies, none of those cards will matter anymore. I think the only thing that would potentially hold value is Power, Alpha, Beta, and maybe dual lands. 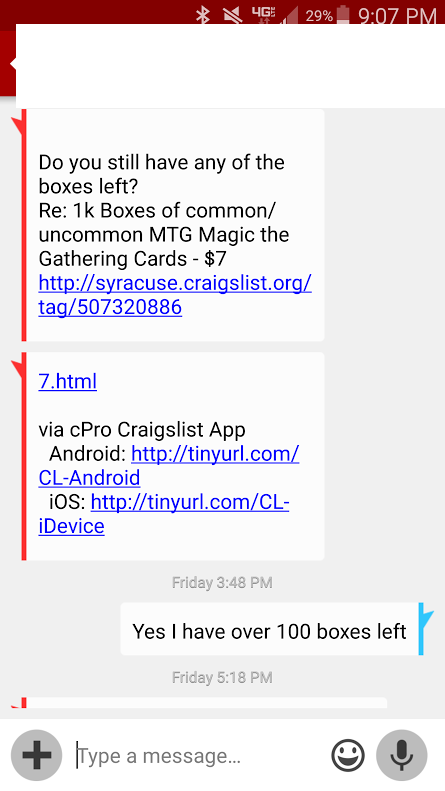 The “pimp” factor makes cards a lot harder to move, especially when there is a higher percentage of players who just want the cheapest copies available to foil out their decks. If you’re just looking to “hold” value and prevent your cards from being absolutely decimated by reprints, then I think you’re fine, but I definitely wouldn’t use it as a solid investment strategy. 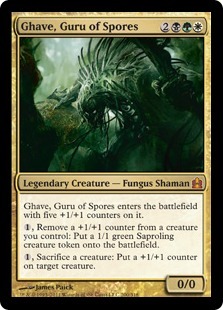 Buying multiple copies of EDH staples and planning to sell them at a later date results in the huge inconvenience of moving them all, as I’ve learned the hard way by still owning over 45 copies of Ghave, Guru of Spores. Foils are even slower to move, so you’ll likely end up having to buylist them for a very minimal profit. There’s also a pretty significant factor to consider in the similarity or difference in artwork between printings. If the artwork never changes, then the original printing becomes much less of a premium if the only differing factors are the set symbol and the hologram at the bottom. 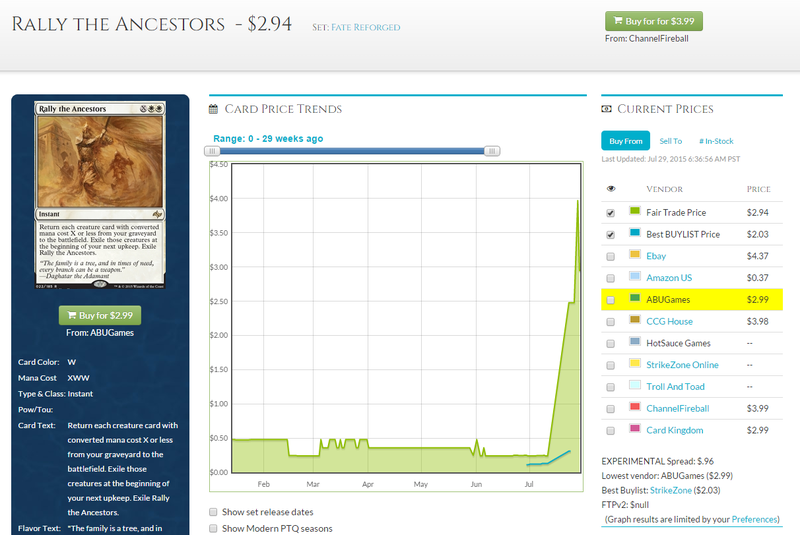 Take Creakwood Liege for example: the Modern Masters 2015 foil is $10 and the Eventide one is $15. If you buy into the Eventide foil at $10 for a 33-percent discount, who do you plan on selling it to? There’s no real flair to it that differentiates it as unique, so you’ll have to find someone who really cares about the set symbol. 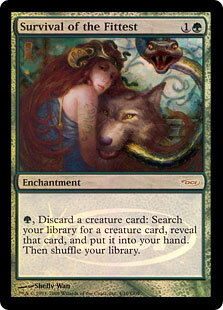 If you really want to invest in first-printing foils, pick something with a different art or different border. In other news, there were several Modern singles that spiked over this past week. Oblivion Stone, Creeping Tar Pit, and Olivia Voldaren joined forces to make you miserable if you have to buy them now, and they form a team of “fringe playable cards in Modern that are now worth a lot more than you probably thought they would be.” If you have them, sell them. This article comes out on Thursday, but you should still be able to get a better deal than a week ago. Meanwhile, Blood Moon is dropping back down, to the surprise of nobody. While it won’t go back to its previous $25 to $30, you can wait until the decline stops at $45 or $50 instead of buying in at $60. So what do you do? Modern is supposed to be this reprint-centric, accessible format, but we also have $20 Tar Pits running around. Do you buy into a Modern legal-card that hasn’t spiked yet and hope it goes up, or do you wait and cross your fingers for a reprint like MMA15 before buying in ? Let me know in the comments what your approach to Modern singles is, because I’m curious about the different approaches that people are using.